Hampton Roads Publishing, 9781571748287, 288pp. The Irish are renowned for their unrivaled capacity to spin a yarn and tell a story. They have a singular gift for gab and delight in the art of conversation. 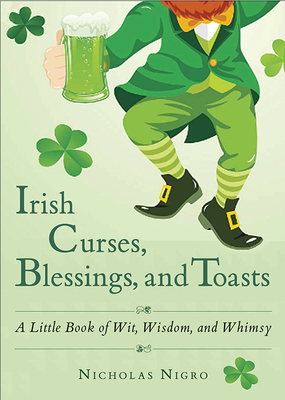 Being Irish means finding both humor and insight on life's roller coaster ride of highs and lows. Indeed, the Irish narrative is chock-full of wit, fellowship, and merriment, but it is also deeply rooted in a revolutionary past of severe hardship. Nicholas Nigro is a veteran freelance writer and the author of multiple books on a broad range of topics. He has written authoritatively on eclectic subject matter, including business, pets and animals, and popular culture. He was born in the Bronx and still calls it home. Visit him at www.nicholasnigro.net.